The release of watchOS 3 for Apple Watch is being pushed as a major change for the wearable platform, tweaking and in some cases completely revamping how the platform operates. 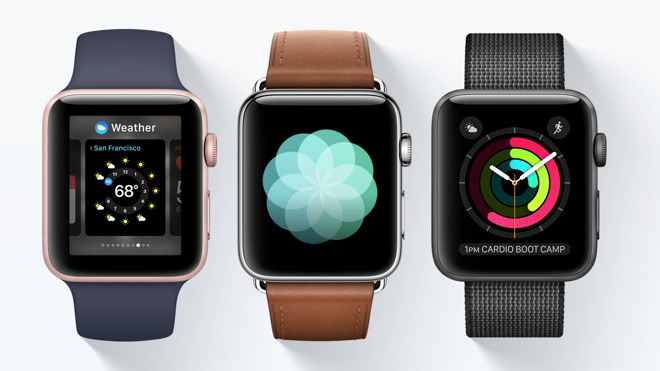 Before you update your Apple Watch to watchOS 3, here's a quick guide on the changes. First of all, your iPhone that is paired to your Apple Watch must be running iOS 10 for watchOS 3 to be available. 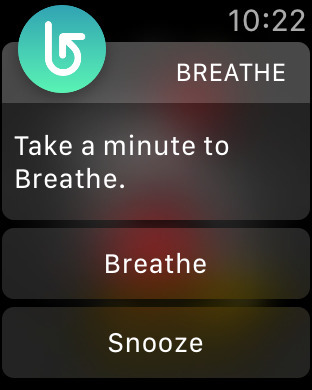 When your iPhone has been updated, then you can open the Apple Watch app, then choose General, then Software Update. 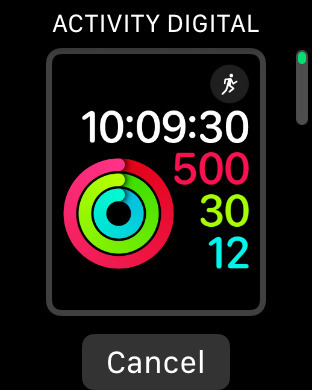 Updating requires your Apple Watch battery to be at least 50 percent charged, and it must be plugged into an external power source. 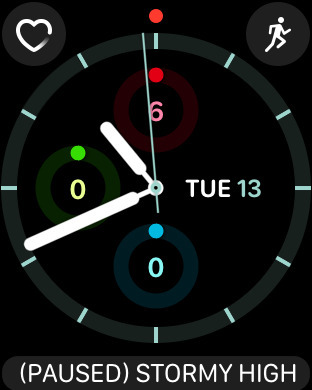 After watchOS 3 is installed, the first changes can be found right from your watch face. Swipe up from the bottom of the display to access the new Control Center. 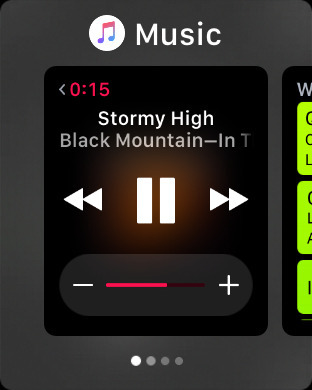 With watchOS 3, Apple has removed the glances view. 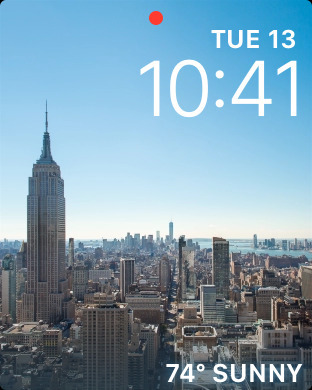 Edge gestures from the left and right side of the display will quickly switch between watch faces. 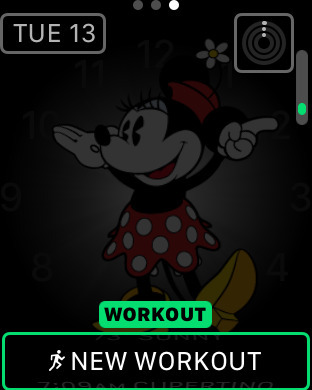 With this feature, you can have specialized faces for certain tasks —for example, using one of the new Activity faces for exercise tracking. Apple has also changed its policy on complications in watchOS 3, and encourages all third-party apps to offer a watch face complication, even if it's just a simple link to the app. 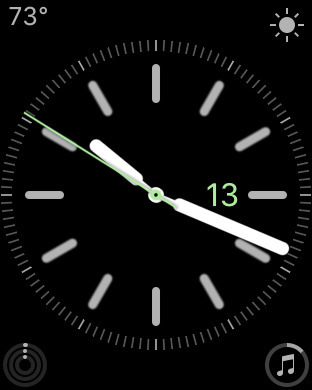 Accordingly, all first-party apps in watchOS 3 include a complication. 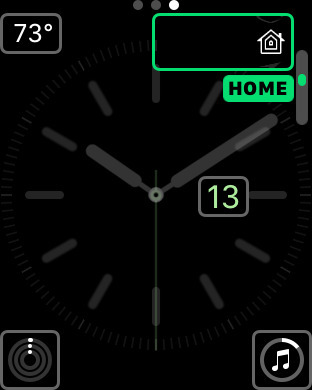 New additions include Music, Find My Friends, Home, and even a new, separate weather conditions complication (which can be used in tandem with a temperature complication). 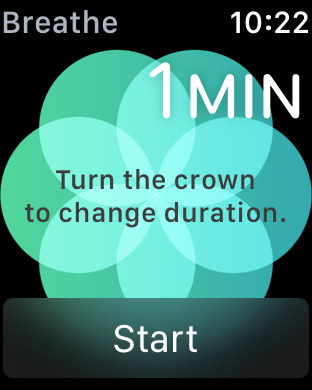 Perhaps the biggest change to watchOS 3 comes once you venture away from the watch face and press the side button. 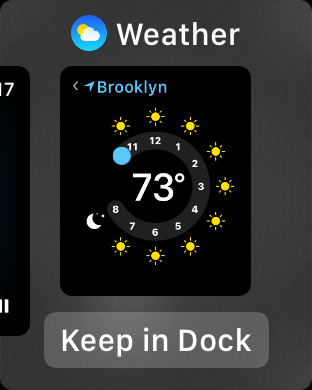 While before the side button brought up quick contacts, it now provides access to an all-new watch app dock. The dock serves a few purposes: It shows a snapshot of the app in its current state, allowing apps to provide quick-view information without opening the software. In this respect, it replaces the now-defunct glances view. It's also a quick way to load your favorite and recently used apps. Preferred apps can be pinned to the dock, much like in macOS or iOS. Recently opened apps automatically populate the remaining, non-pinned slots, which can be found by scrolling toward the right. Recently opened apps include a "Keep in Dock" button below if a user wants to pin them. 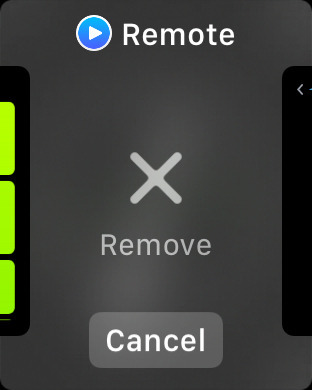 And pinned apps can be removed by sliding up and selecting "Remove." 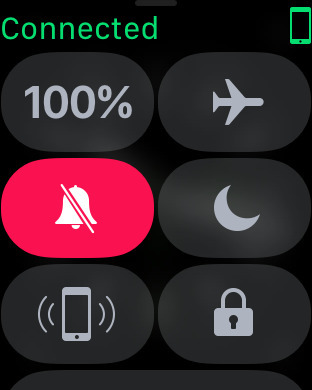 There are a great deal of other changes in watchOS 3, including handwriting recognition for sending text messages, an Emergency SOS feature that can call 9-1-1 and notify loved ones, and the ability to create watch faces from the Apple Watch app for iPhone. AppleInsider will offer closer, more detailed looks at all of the individual new watchOS 3 features in the coming days.